What is Max's Super Dental Wipes? 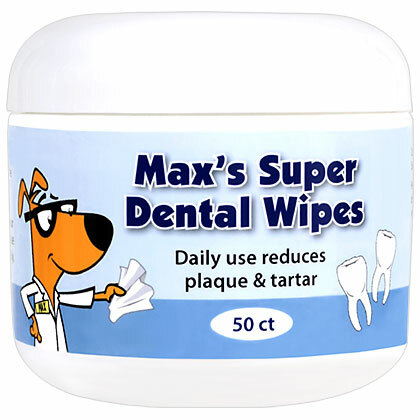 Max's Super Dental Wipes are a helpful alternative to brushing your pet's teeth. 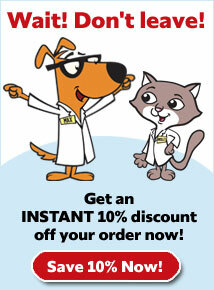 Each wipe is mint-flavored and helps clean your pet's teeth to prevent tartar and plaque build-up. 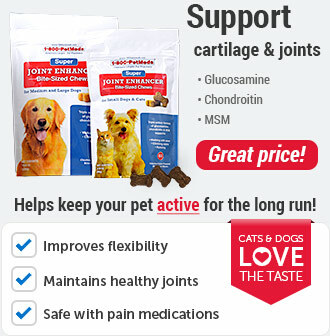 Recommended by top dental veterinarian specialists as an excellent way to keep your pet's teeth plaque-free. Each container contains 50 wipes. The textured wipe cleans teeth and also helps to eliminate bad breath. The active ingredient chlorhexidine kills bacteria to help prevent plaque and tartar build-up. By killing bacteria, chlorhexidine can also help prevent gingivitis and gum disease. 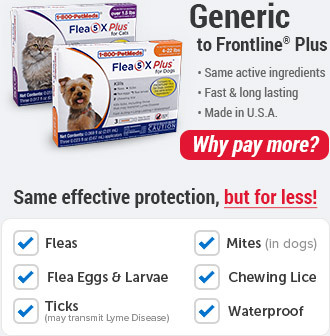 If irritation occurs, discontinue use and consult with your veterinarian. Avoid contact with eyes. Using one hand, lift your pet's lips away from the teeth. Using your other hand, use the wipe to rub your pet's teeth and gums from front to back on both sides. You may need to open your pet's mouth a bit to reach the back teeth. 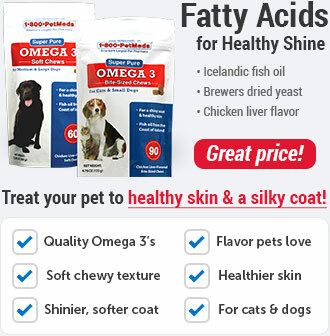 Praise your pet after. 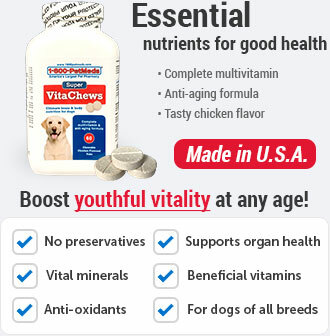 Recommended use is twice daily. 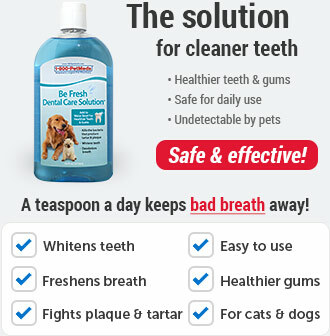 To kill bacteria in your pet's water bowl, try our Be Fresh Dental Care Solution. 0.1% Chlorhexidine Gluconate and Sodium Hexametaphosphate.